The Villa Workspace oozes inspiration and innovation on every level. 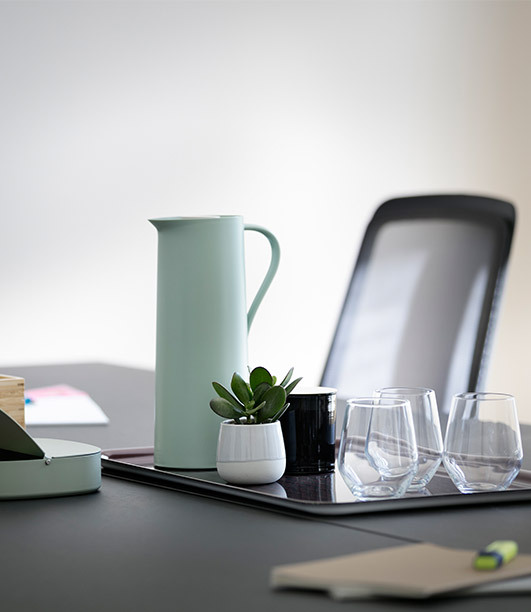 The Villa Workspace is designed to provide an exciting, innovative and dynamic workplace. 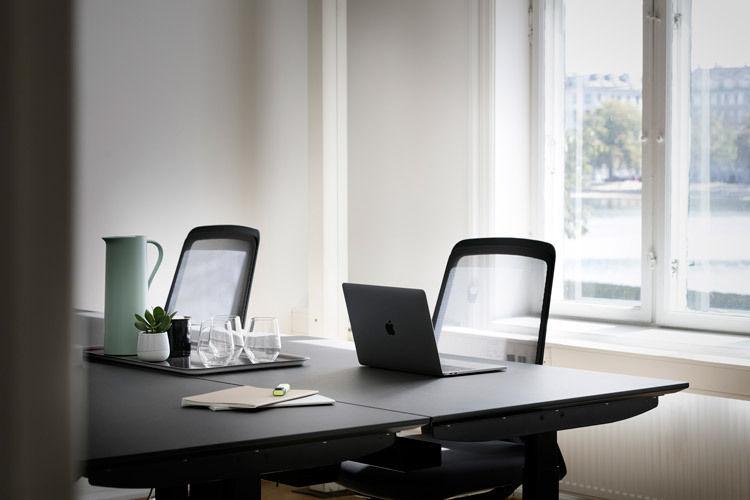 Every detail, from the bottom of the basement to the ridge of the roof, has been carefully considered and designed to accommodate the future of a work place – open and flexible! 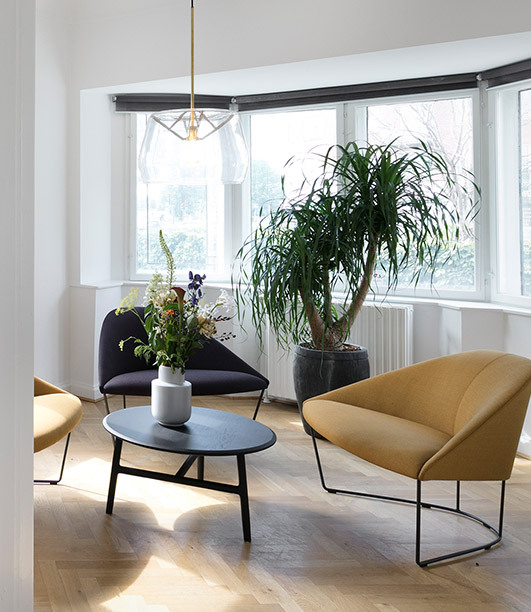 The building on Ewaldsgade 7, is originally an old listed property, which recently has been fully renovated in cooperation with the Danish architect Klaus Boyer. 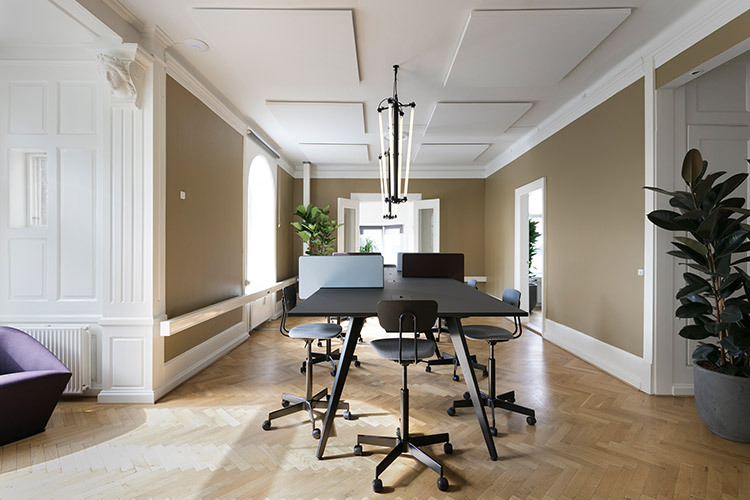 Throughout the project it was important to preserve the peace that the building exudes so the establishment for The Villa Workspace would be the perfect combination of history, modern design and innovation. The astounding exterior fits in perfectly with the areas iconic buildings and the tranquil view over the lake. Inside, the classic elegance continues where huge panorama windows and beautiful herringbone parquet floors adorn the rooms. 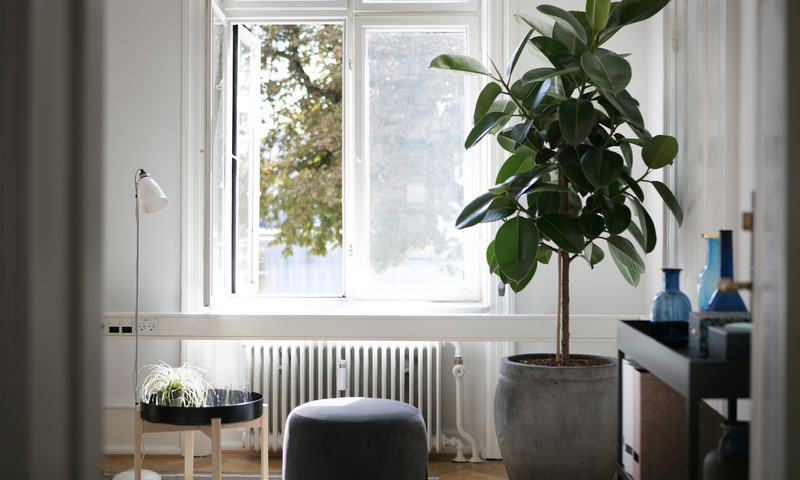 The central address also includes a delicious café that also functions as a lounge and a creative hub – for both walk-ins, café guest, and office tenants. The unique view of the private garden and the Peblinge Lake makes the café the perfect place to take a well-deserved break while enjoying the barista’s tasty coffee. Another add on to this great location is, if you need to clear your head doing the day, you can easily go for a run around the lakes or in the hip neighborhood. The Villa Workspace also facilitates shower rooms. 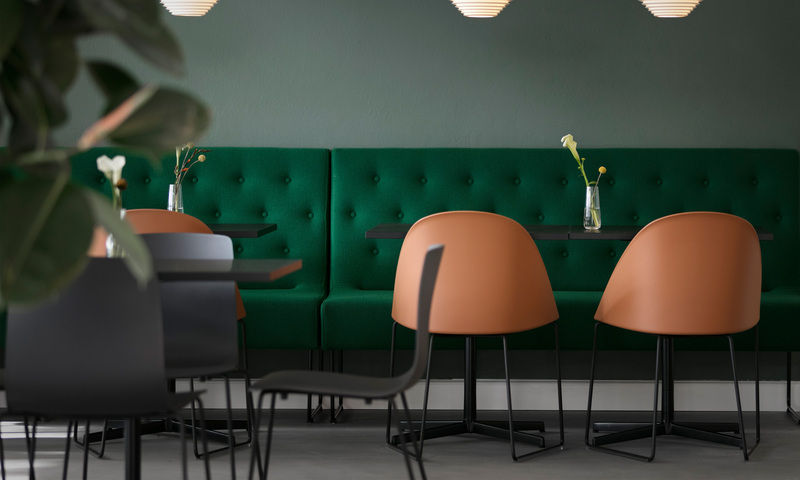 The Villa Café is a multifunctional café and workspace based on an innovative concept that offers users a culinary experience far from the classic work canteens. You can rest and recharge your batteries in this unique and contemporary setting from early morning until early evening and weekends. 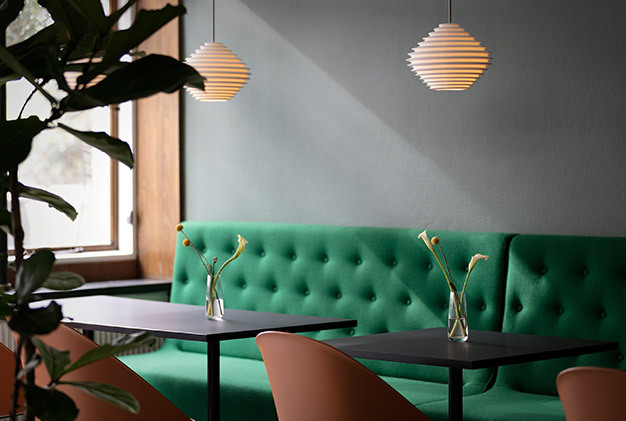 The café will be run daily by one of the talented restaurateurs in Copenhagen who will, among others, serve freshly brewed coffee, healthy snacks and delicious lunch dishes. 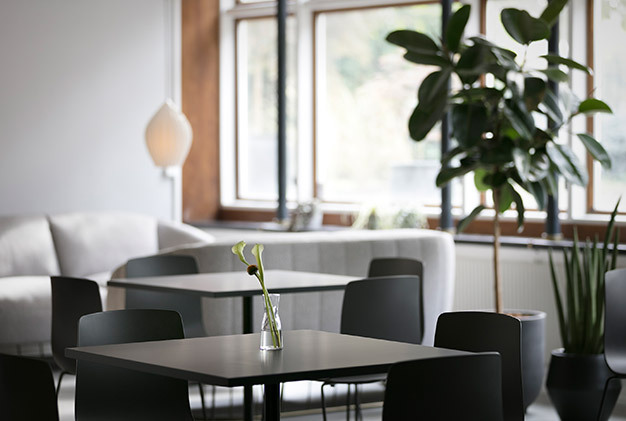 The Villa Café is a multifunctional café and workspace experience in a unique and contemporary setting. 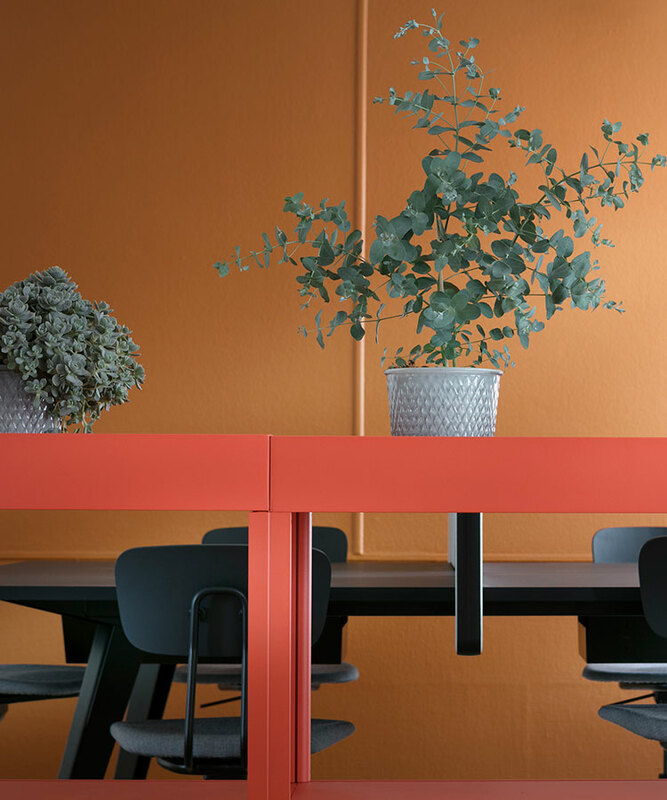 The Villa Café also functions as a work lounge. The place is ideal for working in a communal café environment, nurture the creativity or seek inspiration from others for joint projects. 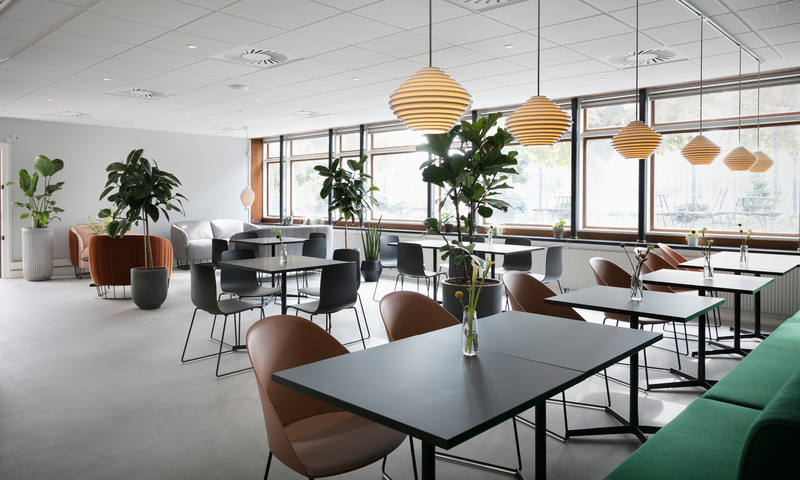 The café is located centrally in the building so it is easy and convenient for you to organize informal meetings with colleagues, clients or business partners. The Villa Café is free, has boast lightning, fast internet and can be used by everyone with public access from the garden entrance at Peblinge Lake. Furthermore, the café also incorporates technical facilities for larger meetings, receptions, conferences, and events. 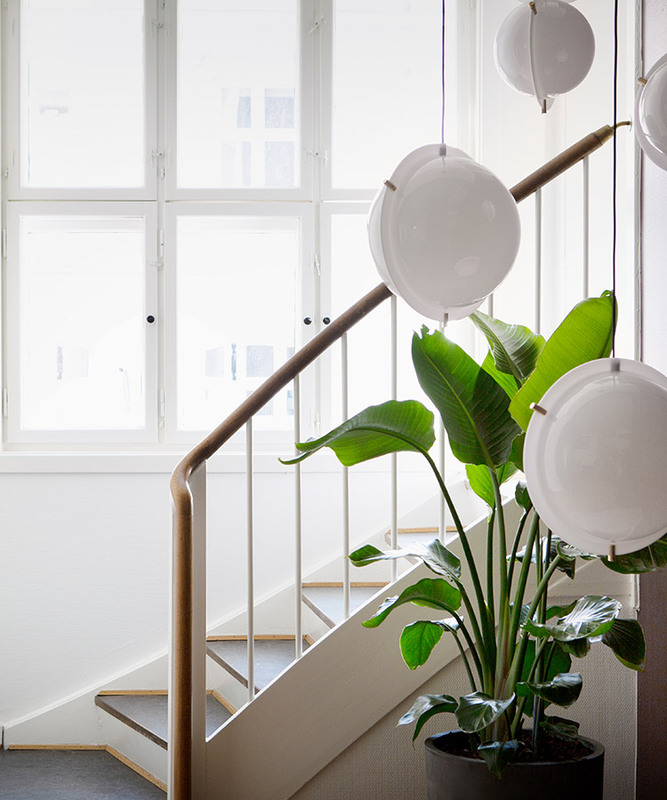 Become a VillaWorkspace & Café member and be part of the exciting community at Ewaldsgade 7. 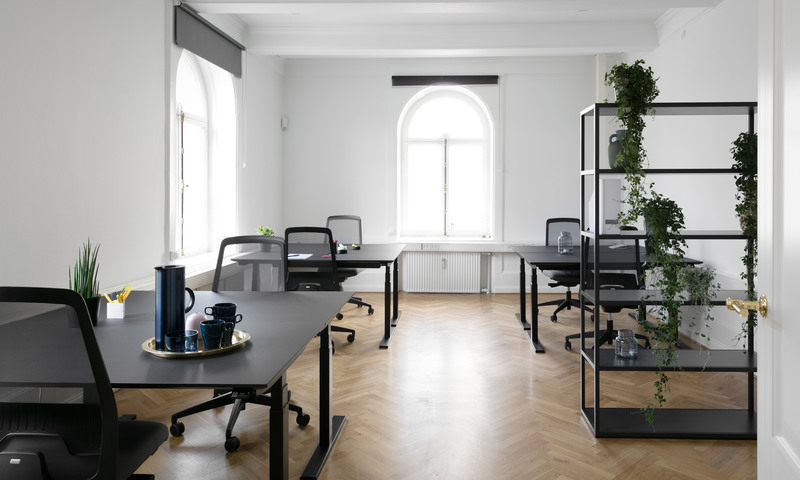 Look no further, you have found Copenhagen’s coolest and newly established work environment! 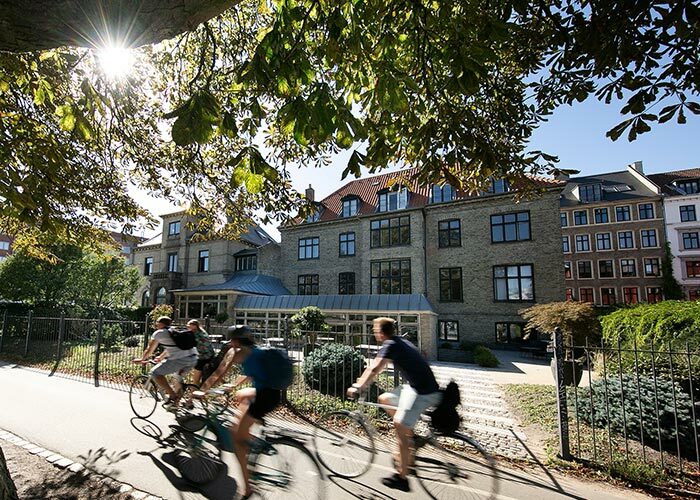 The Villa Workspace is in a sought-after location with its own 400 square meter private garden overlooking the Copenhagen Lakes and close to the city center, green open spaces, Forum Metro station, H.C. Andersens Boulevard and the waterfront at Peblinge Lake. 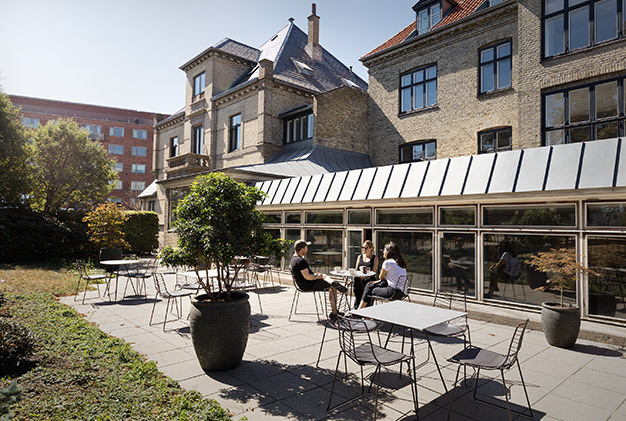 The building is also located close to the chic and vibrant Nørrebro where shopping, trendy restaurants, cocktail bars and theaters adorn the scene. 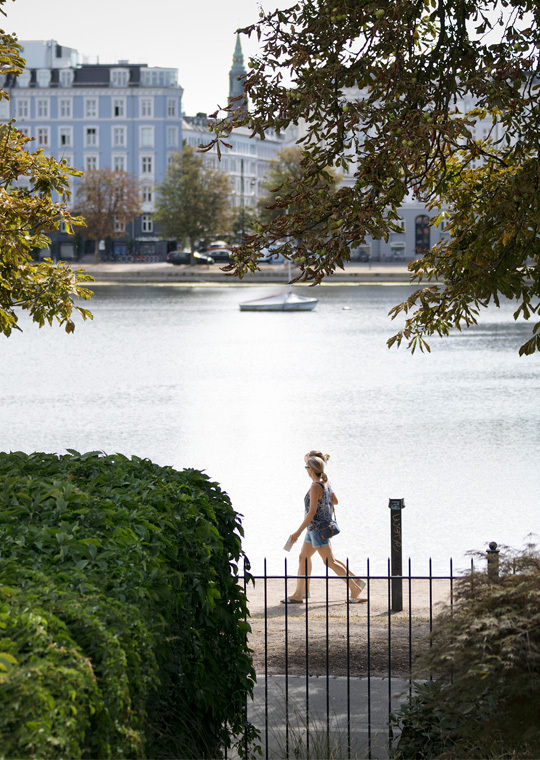 It is the optimal location if you want one of best addresses in the city, visibility, prestige and a creative workspace - if you recognize the value of being part of the vibrant city life between Kongens Nytorv and the Copenhagen Lakes. The location is next to several bus stops and the metro station also makes it perfect for commuting by public transport, and the building itself boasts on-site parking facilities. © 2019 The Villa Workspace™. All rights reserved.